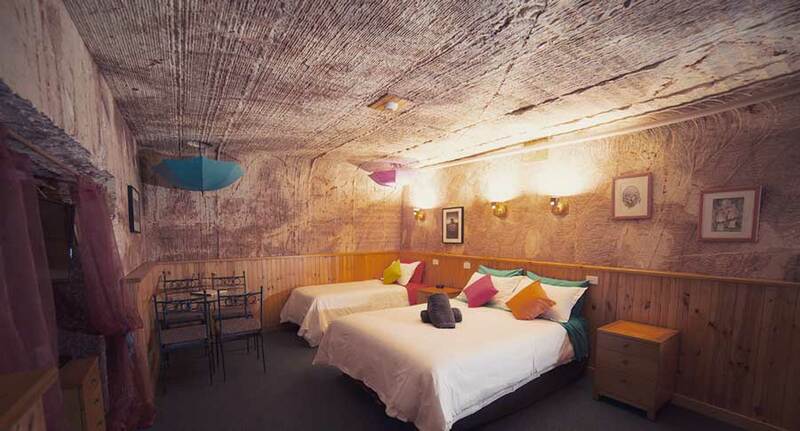 We welcome you to come and stay at the Coober Pedy Experience Motel, Coober Pedy's Best Choice. 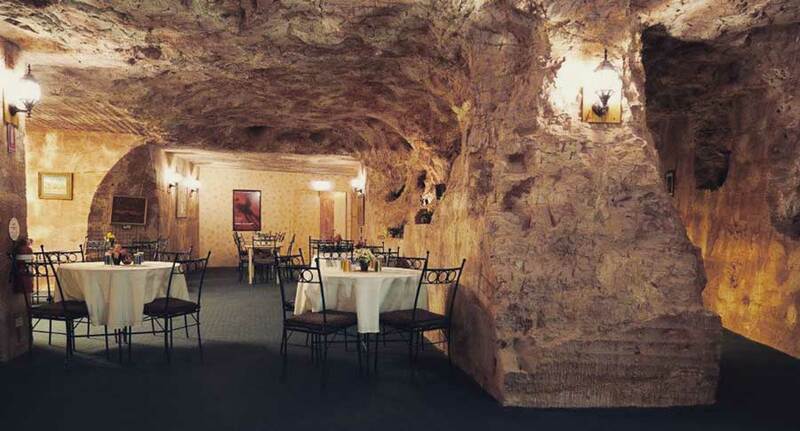 Mined for opal from 1918 into the 1960's it was then transformed into an underground motel complex in 1990. 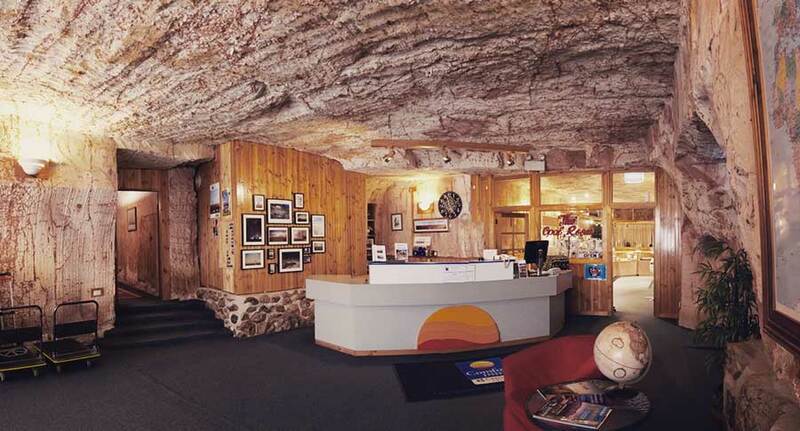 We are a family owned motel and have lived in Coober Pedy since 1983 - come stay with a local and take a walk through history from mine to motel! Relax and enjoy restful sleep in the beautifully individually decorated rooms with private ensuite. Each room contains a queen size bed and at least one single - more can be added if needed. They have plenty of crockery, cutlery, coffee and tea and your own table and chairs. You'll also find an iron, toaster, television and free WiFi. Wheelchair friendly rooms available. Be inspired by the beauty of opal, the tranquil, seemingly deep pool of moving vibrant colour. The Translucent Crystal Opal, The Solid White "Milk" Opal, the deep blues of the Queensland Boulder Opals and the dark Lightning Ridge Black Opal. A must see is our Desert Sea Collection of opalized sea shells. 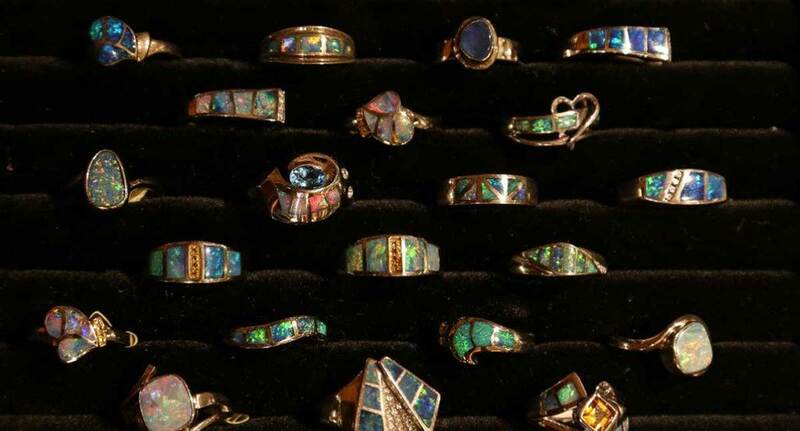 A magical range of Opals Stones & Opal Jewellery is on display. 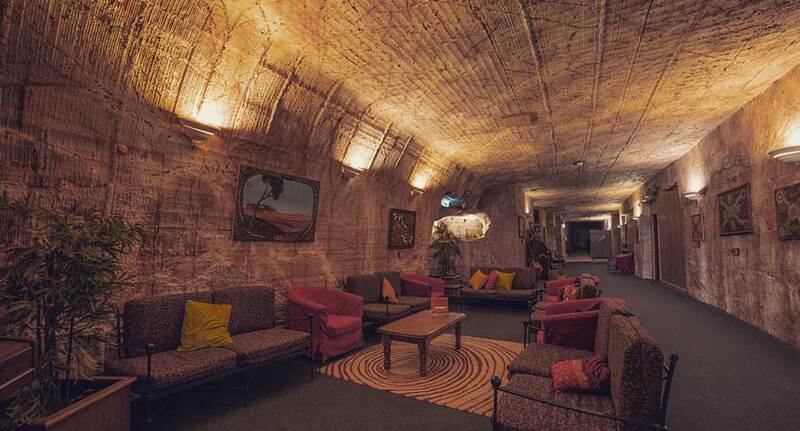 Grab something from our Soft Rock Café and enjoy the peaceful cool ambience of being underground. Walk around and explore the hidden areas of the original opal mines - you can almost hear the miners digging for opal! Free Wifi throughout the motel, board games for the families, Swap Book library and an Aboriginal Women's Art Gallery telling of their ancient dreamtime stories. Coober Pedy has 47 different nationalities and has plenty to offer at meal times along the main street in the cafés, clubs and restaurants. The Soft Rock Café underground at the Comfort Inn supplies coffee & cakes throughout the day. Do you want to go noodling? 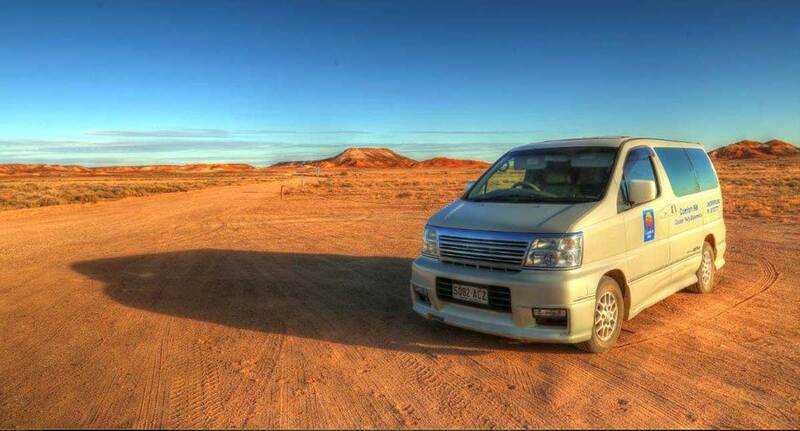 Maybe you have never been on the Moon Plain or need to escape to the Breakaways - our air conditioned 8 seater is available to take you there, just talk to our reception to make a booking. 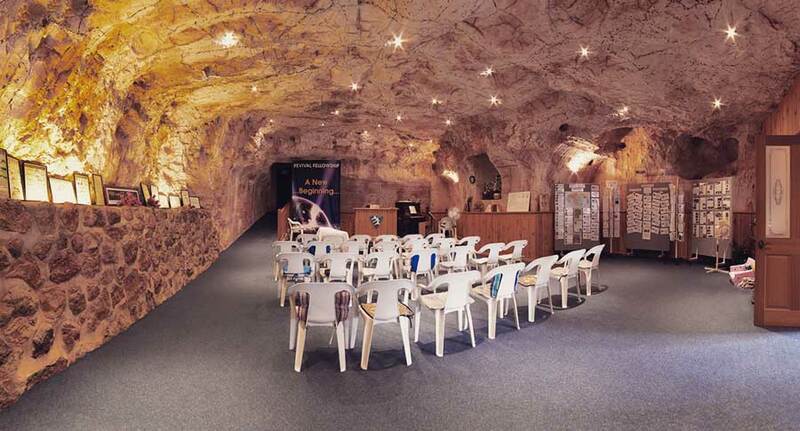 The Coober Pedy Experience is filled with adventure, history and beauty. Just ask at the reception desk to hear about the exciting places to visit and the tours to take. Day trips to the beautiful Painted Desert, the Oodnadatta Loop, Lake Eyre & William Creek. Half Day tours to the Kanku Breakaways Escarpment, the unexplainable Moon plains or the longest of man’s creations – the Dog Fence! 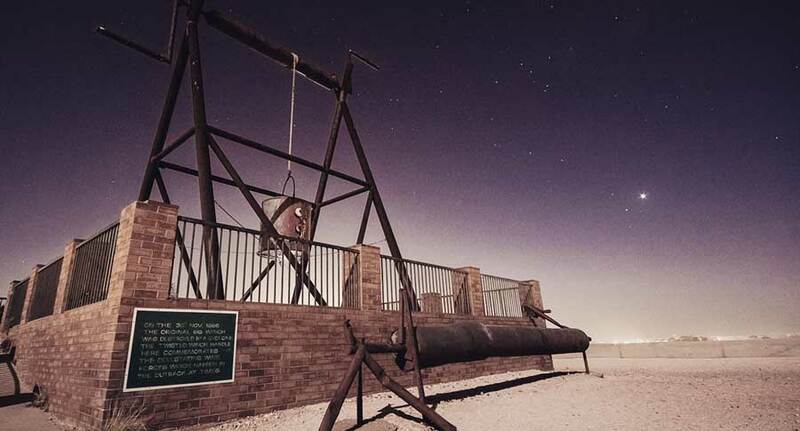 Check out the full list of Coober Pedy's attractions. In the cool, calm, underground no amplification is required! Our 15x9 metre conference area has seating for up to 50-80 people. Tables are available upon request. Projector & screen, coffee/tea facilities, morning tea & free internet also available. © The Experience Motel. All photos courtesy and copyright of Grant Hugo.